If teachers answer them by talking about government and taxes and policy, the responses can start to sound political (and boring). If they respond by addressing individual behavior and ambition, the answers start to seem like moral judgments. […] could I please keep in mind that some of the families with more money than average were starting to feel demonized and those with less were feeling like their noses were being rubbed in everyone else’s affluence? I know there are textbooks and stuff related to “financial literacy education” out there, but studies have shown that financial literacy classes don’t work. The book is basically an attempt to compile the best practices for parents in the areas of allowances, chore-setting, cell phones, clothing, cars, part-time jobs, and paying for college, along with teaching the skills of saving, investing, and charitable giving. I may not necessarily agree with every idea in the book, but at least it allows provides good exploration of these topics and may uncover small things you might not have considered. We may not be in the same category of wealth, but many of us have enough to give our kids everything they need and much of what they want. And even if we have less than many people we know in our communities, we have more than most in our country and our world. We know this, but our kids probably don’t quite yet. So how do we make them aware of just how good they have it, without preaching to them or making them pity others who have less? And how do we remove them from their life of relative ease every so often and expose them to people and places that are not like the ones in their everyday lives? The Stanford expert on adolescence, William Damon, writes matter-of-factly of the many children “who have privileges that were once reserved for royalty.” […] So start the job in the home, where we can help our kids act on […] a drive for competence. “They avidly seek real responsibility and are gratified when adults give it to them,” he wrote in Greater Expectations, his book about how far our expectations for our children have sunk in recent decades. Indeed, in many urban and suburban families, the chores that we assign them don’t add up to much. Getting our own children to do more, and earlier, in the way of preparing, cooking, and cleaning up after meals isn’t easy. It takes practice and persistence, in the same way we may need to hover over them during the first months of music lessons as they whine and complain when things don’t come out quite right. Still, failure should not be an option. Every child is capable of contributing to meals in a significant way, and we shouldn’t need to pay them to set the table, boil the pasta, or clean it up. It’s not as if we lack leverage: We control dessert, first and foremost. But playdates, screen time, and car privileges are all tools we can use if our kids need more than a gentle nudge to finish their regular work around the house and in the kitchen. I’m making the case for a broad-based “Lands’ End Line.” If we adopt it, that means we’d pay whatever Lands’ End (my definition of a suitably mid-priced merchant that sells quality clothing) would charge for any clothing needs, even if an item comes from some other designer or shop. Anything with a price to the right of the Lands’ End Line would be a want. And if our daughter craved that item, she could pay, out of her Spend or Save containers, the difference between its price and the price of a similar item at Lands’ End. Yikes, I think Land’s End stuff is pretty darn nice. That would mean my allowance-receiving kid is going to use her extra money to buy North Face or Patagonia stuff. We’ve been trying to buy most of our clothes second-hand up until now… I wonder how long that will last. But money and stuff aren’t the only ways to define rich. Ask kids if they have any other ideas for what the word means to them, or try some prompts if they’re not sure. Perfect health? Living grandparents? Tons of cousins? Friends within walking distance? An amazing park nearby? Teachers and administrators who care deeply about helping the kids in their school? A god that they believe in? There’s no shame in having more or having less, as long as you’re grateful for what you have, share it generously with others, and spend it wisely on the things that make you happiest. It’s true for our kids, but it’s true for us, too. Disclosures: I borrowed this book for free from the library in Kindle format. I will probably buy a physical copy to keep in the future. If you buy a copy through my Amazon link, I will earn a small commission. I think it makes sense for the book to be aimed at parents who are relatively wealthy. 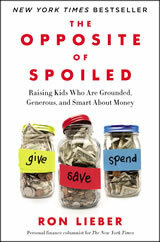 If you are poor or lower middle class then you aren’t usually going to be worried about spoiling your kids. So target audience will skew to higher wealth naturally. Agreed. It felt like the same target audience as the New York Times, with all the references to Ivy League-like elementary schools. I need this book. Kids nowadays need to be taught on how to be smart with money and how to be responsible about it. They need to start saving money in an early age so when they grow up they will have a better grasp of it. Parents aim for their kids should be achieving financial freedom the earliest time possible. Does the book cover any suggestions for the rules of the forced saving jar? 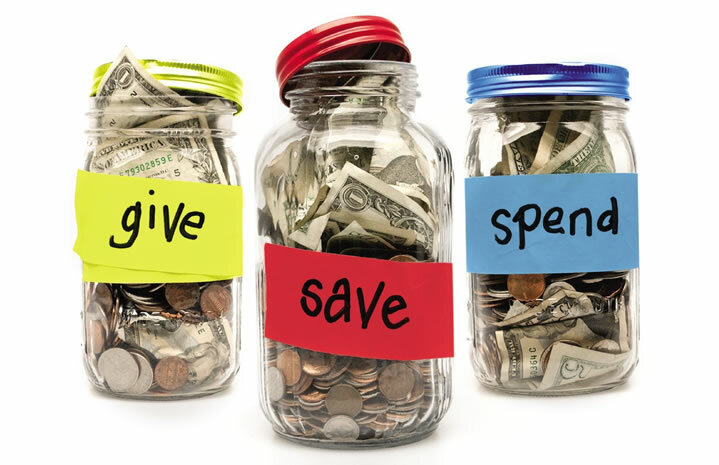 For instance, when can you spend from the saving jar? Are you just supposed to save this money until the child is an adult? Is it for college, a car? When I was a child, my parents made an attempt at the splitting allowance scheme just as the cover shows (saving, spending, and giving). As an 8 year old, spending and giving made perfect sense. However, the saving jar didn’t sit well with me. I would ask when I could actually spend my saved money and they never had a good answer that I recall. Or it was vague like, “when you’re older”. So while my parents gave me 3 dollars in allowance, I only considered it to be worth one dollar, since the other two were to be given away and placed into the nebulous savings. Even as it grew, I never really relished the fact that the savings was getting bigger. I think it was because I never really felt like it was ever going to be mine to spend.